Clean and minimalistic cutting edge designs, Alexander Wang draws you in and captures you into his grasps season after season. 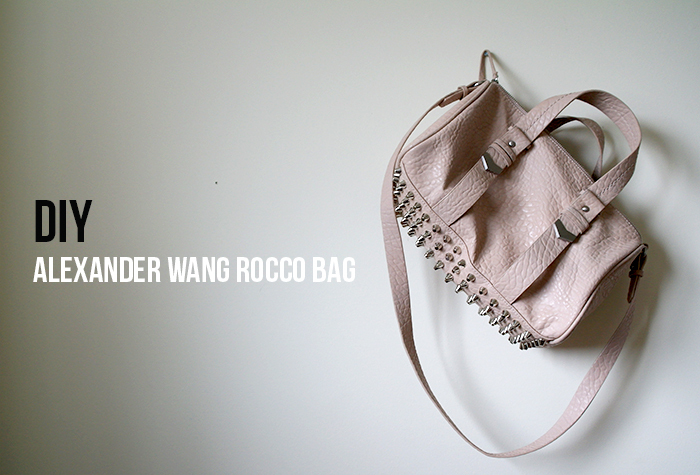 No wonder his Rocco bag has been such a hit! I've been lusting after anything from A.Wang from the basic tee to the gladiator style heels on Rihanna, I would love to covet a piece of his collections. 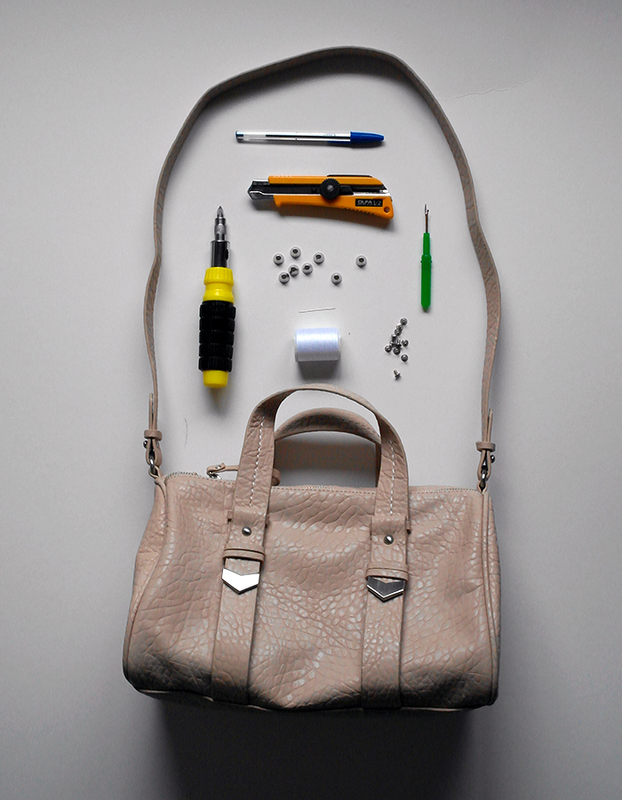 Inspired by the Rocco bag, here's a simple but time consuming DIY. Its a much better alternative to the $800 price tag of the original. Plus if you have time to kill, this is a great project to finish in a day or two. Happy DIY-ing! 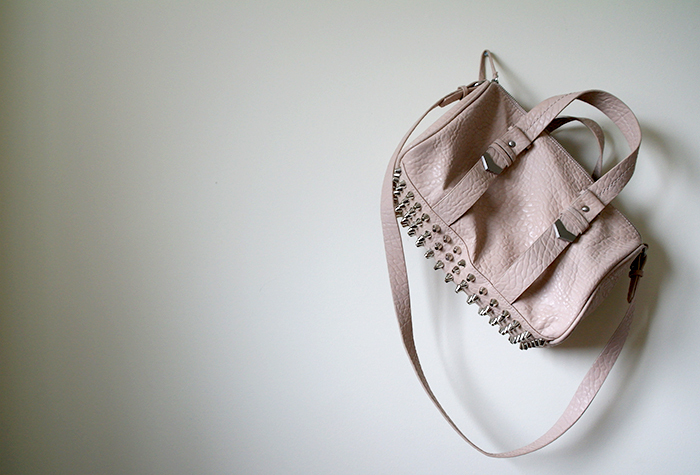 Place studs on the bottom of the bag spaced out evenly. 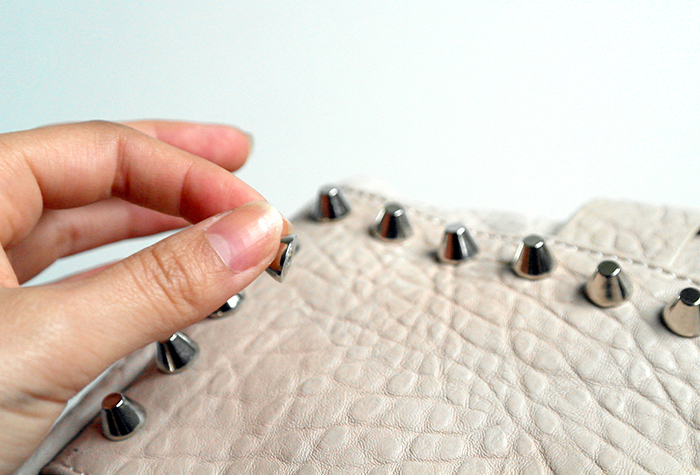 Once you are happy with the placement of your studs, mark it on the bag with a marker or pen. 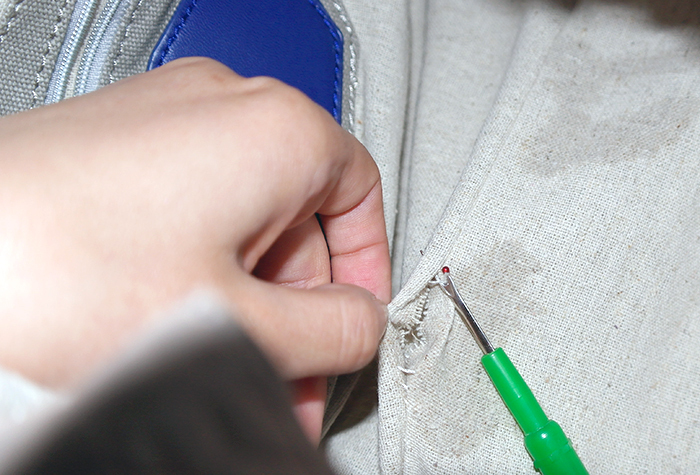 Start poking holes and screwing in the studs, repeat until the bottom of the bag is fully studded. 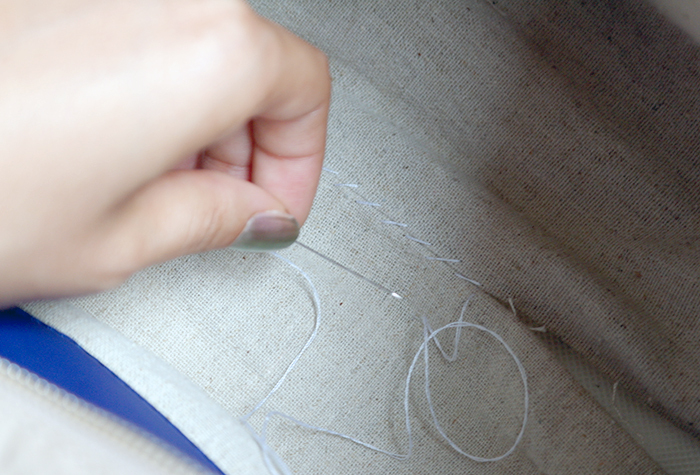 Take thread and needle to sew back the liner. Thanks so much for taking the time to comment! I read through each and everyone of them, lots of love! Bending the rules and documenting every step of the way with my Canon camera and curiosity for adventure. 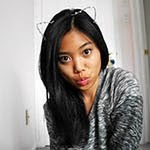 Find DIY projects along with posts of things that happen in the life of me!